if I install a second 700MHz $G antenna at position 3, or 4, the same as the existing one, am I likely to cause interference with either of the other transmitters? The one between 3 and 4 is a 2.4 GHz WiFI connected to external WiFi antenna for the lower paddock, while the lowest one is the PtP to the farmhouse. Also, the signal strength has increased quite a bit recently. I suppose that could be due to a new tower - is there any way to see which tower I am connected to so I can ensure the antennas are best aligned? Position 3 should be fine. Close to existing antenna and adjust angle so on opposing 45 degree angles. What's your approx location and advise PCI from modem stats. Probably more importantly, do you think it would warrant an additional antenna? 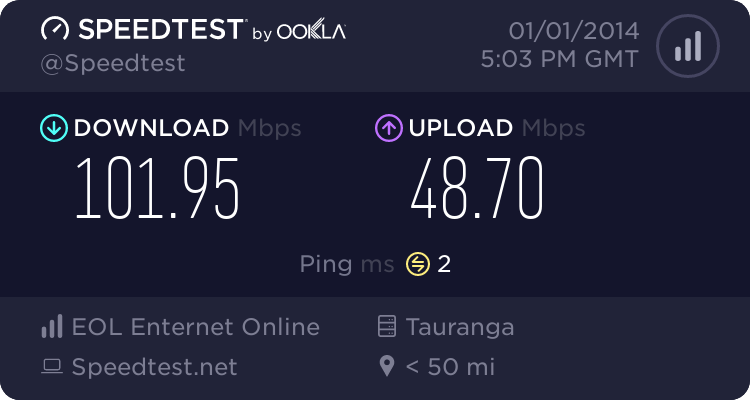 Currently around 50ms ping, 35 mbps down, 4 mbps up, but it has been variable at times which drops the upload markedly. You're connected to the Greta Valley tower. A 2nd antenna is generally a good idea. It often will result in increased performance and gives you a bigger slice of available capacity during peak time. Also please post the rest of the modem stats. So -108 Is getting low on the signal range. Nearer -100 or greater is better. -110 and lower, then performance begins to drop significantly.